Imagine having motorized screens that disappear at the touch of a button, or being able to screen a folding glass wall. Imagine being able to move seamlessly between indoor and outdoor spaces, without the intense glare of the sun or annoying mosquitoes. You can, thanks to Phantom’s retractable screens for large openings. With Phantom Screens, outdoor living is an insect-free pleasure and year-round entertaining at home is easy ! 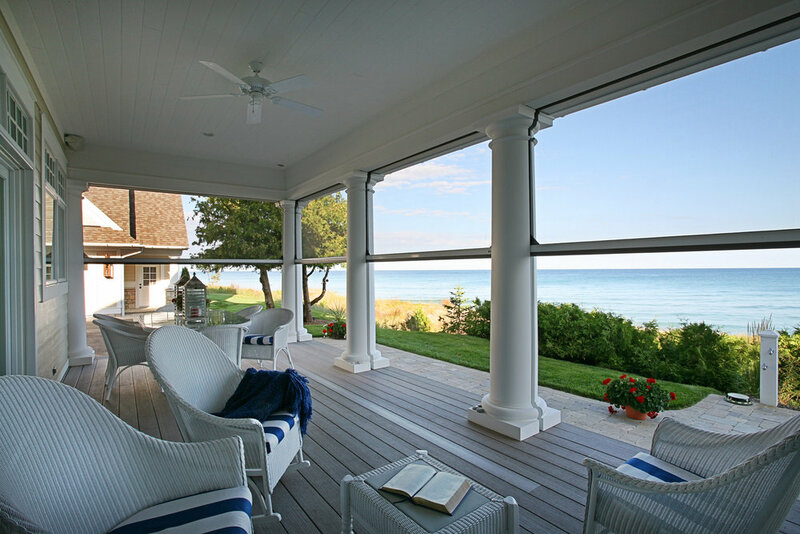 Motorized screens are custom made and professionally installed to fit a wide variety of large openings. Customized to each building project, Phantom's motorized screens merge perfectly with the décor to maintain the integrity of your design. These retractable screens can be recessed from view or mounted on existing structures. Motorized screens can be integrated into every type of architectural style including wood, brick, stucco, natural stone and concrete.